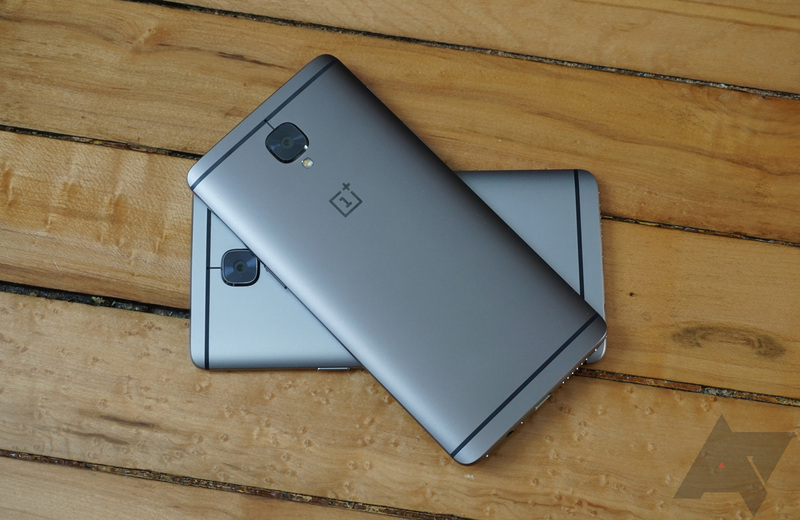 Very few, if any, OEMS do budget flagships better than OnePlus, and the new 3T continues the company's trend of offering a lot of powerful hardware for not a lot of money. Ryan recently reviewed the 3T and found it to be a small improvement over the 3, which was already a fantastic phone. Now, if you live in North America, you can order one of your very own. As we already knew, the 3T starts at $439 for the 64GB model. 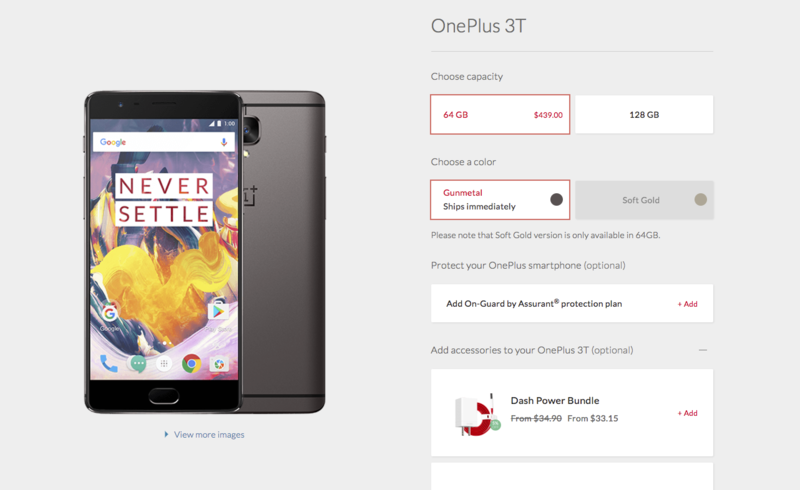 Throw OnePlus an extra 40 bones ($479), and you can snag a 128GB version. Both the 64GB and 128GB variants of the 3T in the Gunmetal color are in stock and ready to ship, but if you want a Soft Gold 3T, you'll have to sign up to be notified via email when it becomes available. It's also worth noting that the Soft Gold model is, oddly, only available with the lower-tier 64GB of storage. Google did this with the limited edition Really Blue Pixel and Pixel XL as well, but we're not really sure why it's a thing. In addition to the phone, you can also pick up an accidental damage warranty from Assurant (ranging from $20 for a year to $80 for two years), some charging accessories, and a few case bundles. Since the 3T is exactly the same size as the six-month-old OnePlus 3, you can just use your old cases if you already own the now-discontinued 3. Shipping is free, and OnePlus offers hassle-free returns for up to 15 days after you receive the device. The 3T may cost $40 more than the 3 did, but it's still an incredible value.